How to make egg trays from waste paper is the major concern of investors. To understand the egg tray making process will help you purchase a cost-effective egg tray machine. Beston Machinery has been engaged in pulp molding machines for more than 15 years. We hope our professional teams and rich experience can help you. What Is An Egg Tray Machine? This is the first question we should make clear. We can see various egg trays in the supermarket when we buy eggs. Except for different designs and sizes, there are trays made of different materials, such as plastic egg trays, paper egg trays, and even wood egg trays. Among them, paper egg tray is getting popular because of its advantageous features. For instance, it is light in weight. On the other hand, it is a kind of absolutely environment-friendly packaging product. 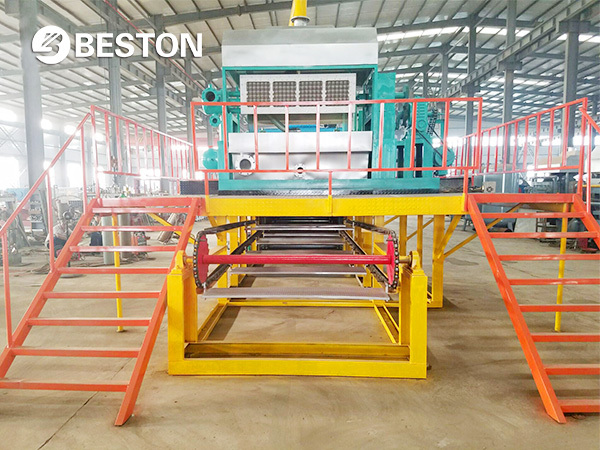 In addition, it is easy to produce a lot of paper egg trays in a very short time by means of egg tray making machines from Beston. With the improvement of the economy, packaging has taken the largest share of paper use. For the sake of resource conservation, people recycle water paper to produce molded pulp packaging products. Egg tray making machine is a creative way to waste paper recycling. It is widely applied to turn waste paper, such as old magazines, newspapers, and boxes, into pulp products, like egg trays, egg cartons, shoe trays, etc. Facts proved that egg tray machine is very helpful for environmental protection. Meanwhile, it is very popular among investors with the advantages of high return and low costs. 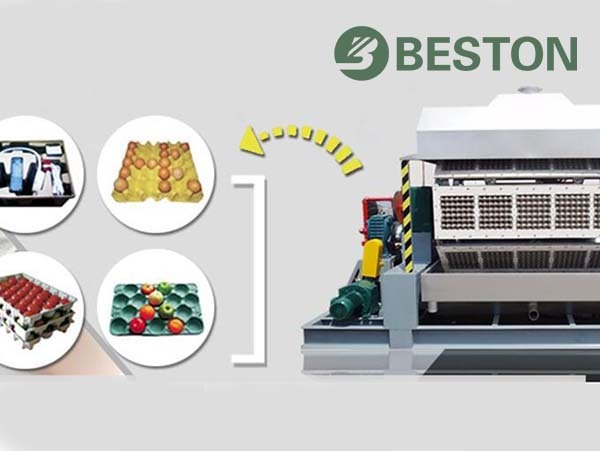 Beston (Henan) Machinery is a professional egg tray machine manufacturer. We have supplied all kinds of pulp forming machines for both domestic and overseas clients.